It looks like a popular 80’s gaming console is ready to make a big comeback. No, not the Atari -- but the Intellivision! Following its initial announcement earlier this summer, Intellivision Entertainment has confirmed that details on its forthcoming console relaunch will come next month, starting on October 20! Intellivision president (and video game musician) Tommy Tallarico confirmed the news this morning, noting that he’ll provide the details during the opening keynote at the Portland Retro Gaming Expo that day, as well as a quick look at the system’s design. “Information to be revealed includes the name, logo and branding of the new console, the hardware specs (including the revolutionary new controller), launch date, price point, online capabilities, new & unique approach to doing business in the game industry, games available at launch, partners, publishers, game licenses, marketing strategy, developer relationships and game funding, technical specifications for game developer tools, the team and advisors behind Intellivision Entertainment, special guests, game industry supporters and backers... and much more... including a FIRST LOOK at what the new console and controllers will look like,” the press release notes. However, the system and controllers will be pre-renders, as the design is still being finalized. The Expo will also be home to an exclusive panel featuring the Blue Sky Rangers programmers that brought the Intellivision to prominence back in the 80’s, and Tallarico will also hold another panel discussing the creation of audio from the 80’s and 90’s video game scene, a must for fans of his music. All three panels will be streamed live on Intellivision’s social channels, so if you don’t get a chance to go to the expo in person, you can still see all the details as they’re presented live. 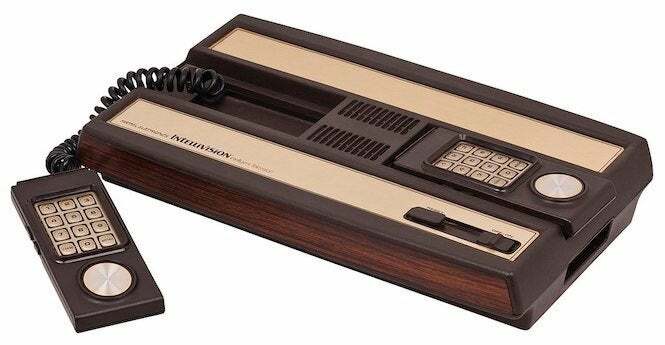 There’s been a lot of buzz regarding the relaunch of the Intellivision console, particularly with its approach of being self-funded instead of requiring crowdfunding to get off the ground, like the Atari VCS has. We’ll provide all the information as soon as it becomes available, but we wish Tallarico and his team the best of luck. Oh, and can we get a modern controller? The Portland Retro Game Expo takes place from October 19-21 in Portland, Oregon. You can get more info about the show here.